1. How to prevent bullying at school? 2. The simple ways youth can do to save the nature. 3. The benefits of extracurricular activities for students. 4. Social media and its impact on youth. 5. How to become a young entrepreneur? 1. Participants are students of Vocational School (SMK/MAK). 2. 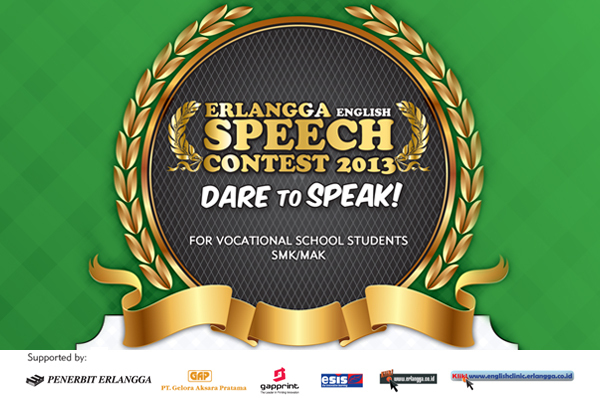 Participants have to complete the registration form and send it back to the commitee of Erlangga English Speech Contest 2013.